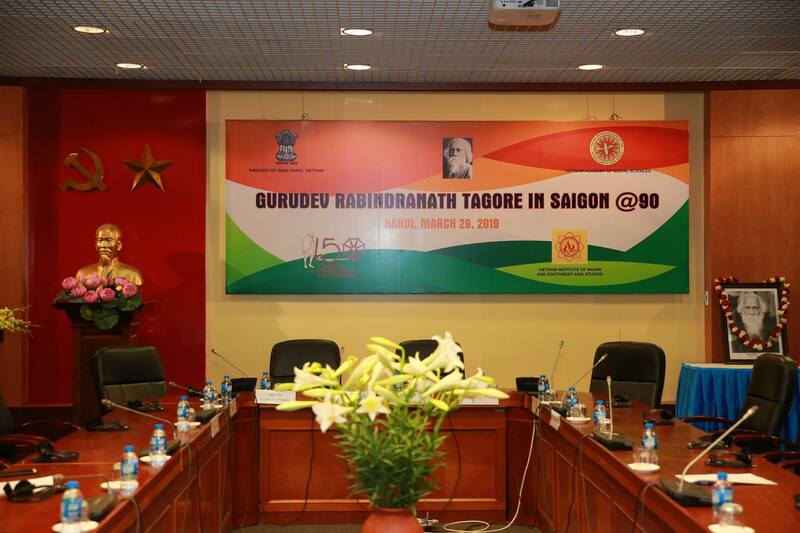 To mark the 90th Anniversary of the celebrated visit of Gurudev Rabindranath Tagore to Saigon in June 1929, Embassy of India, Hanoi in coordination with Vietnam Academy of Social Sciences (VASS), Vietnam-India Friendship Association (VIFA) and Vietnam Museum of Literature organized a conference titled ‘Gurudev Rabindranath Tagore in Saigon @90’ on 29th March, 2019 in Hanoi. 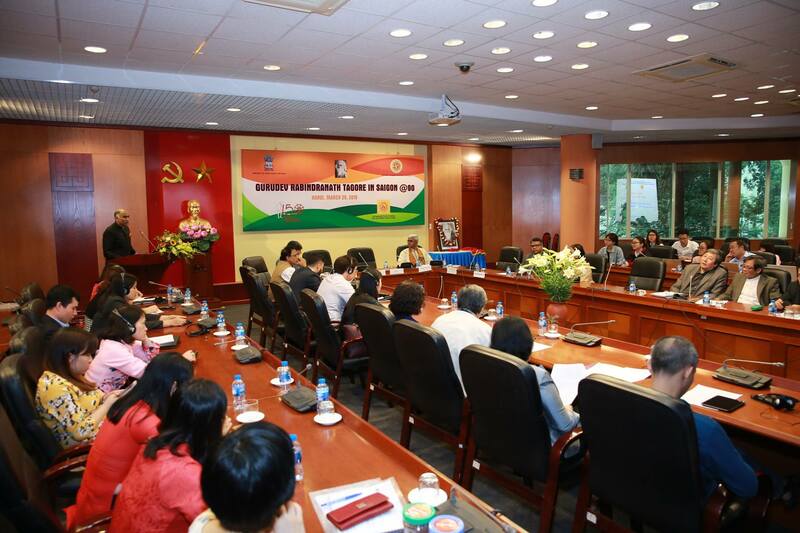 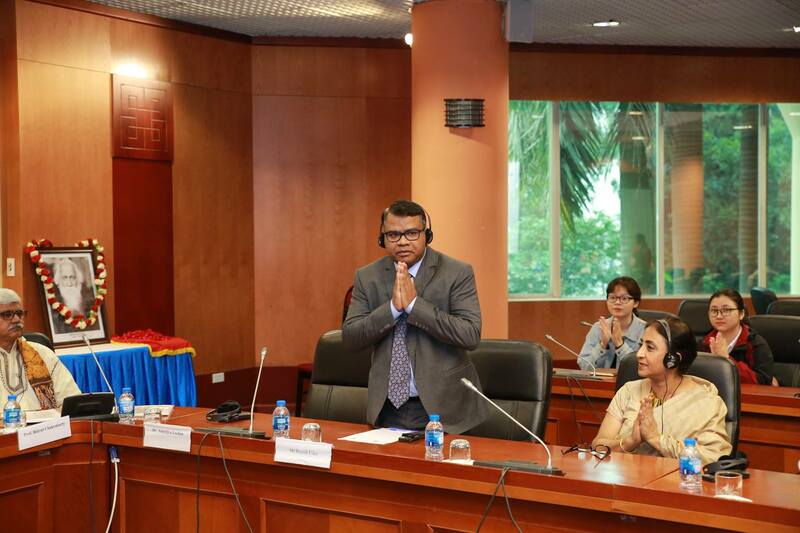 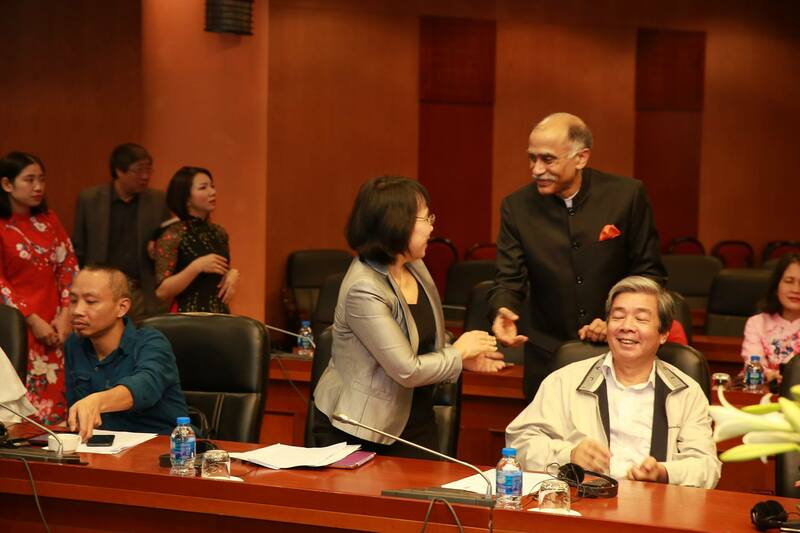 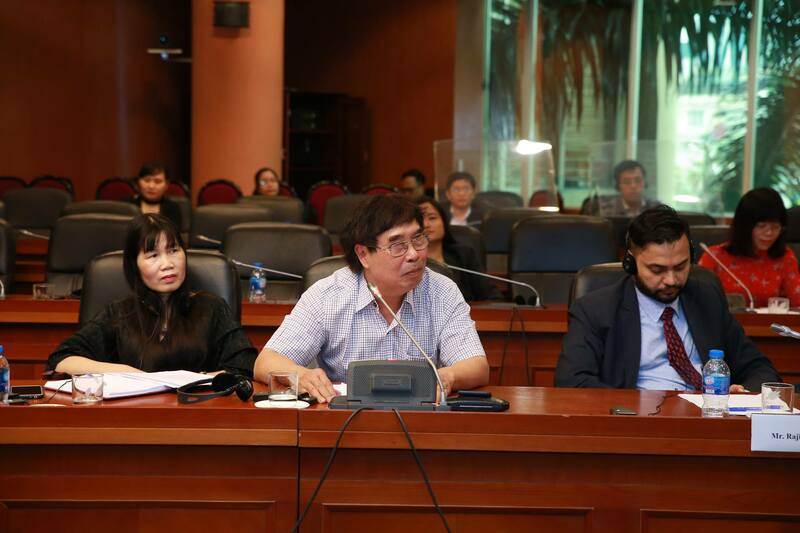 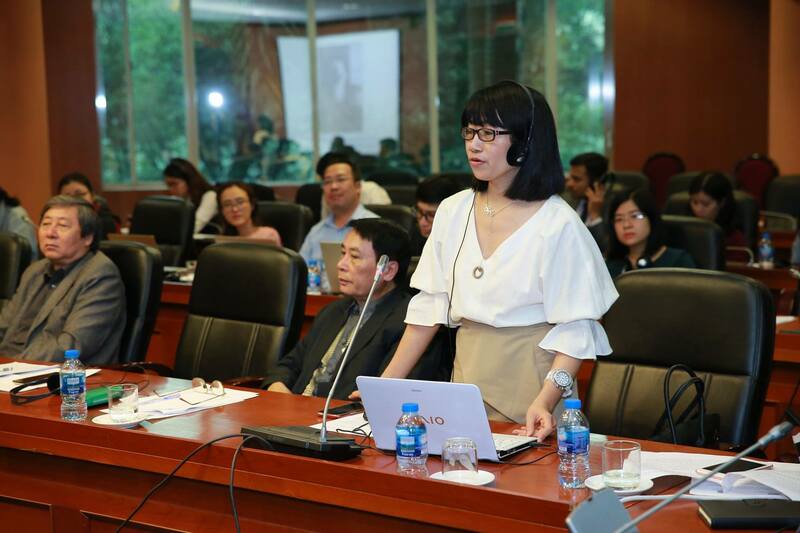 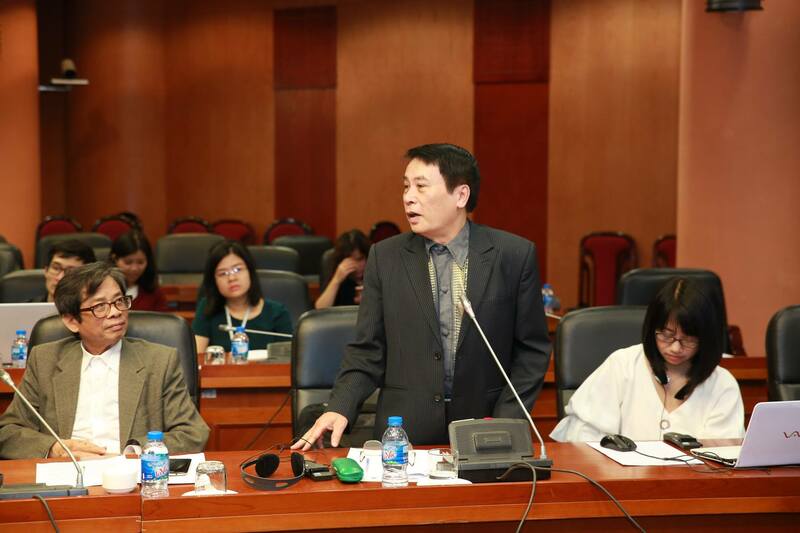 The conference was attended by Professor Dr. Dang Nguyen Anh, Vice President of VASS; Mr. Ha Minh Hue, Vice Chairman of VIFA and former member of National Assembly; Associate Professor Dr. Nguyen Xuan Trung, Director, Institute for Indian and Southwest Asian Studies, VASS; Associate Professor Mr. 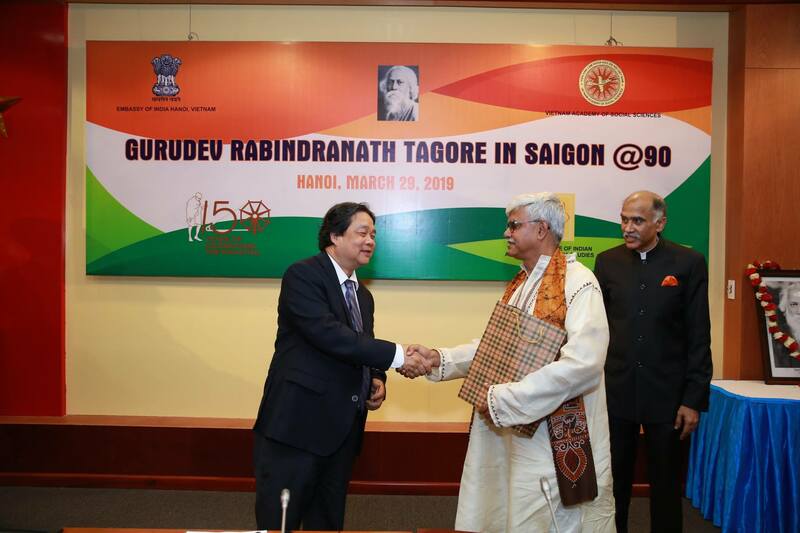 Le Van Toan, President of the Scientific Council of the Indian Studies Centre at Ho Chi Minh Academy of Politics; Professor Bidyut Chakrabarty, Vice Chancellor, Vishwa Bharti University, Shantiniketan; Dr. Amarjiva Lochan, Dy. 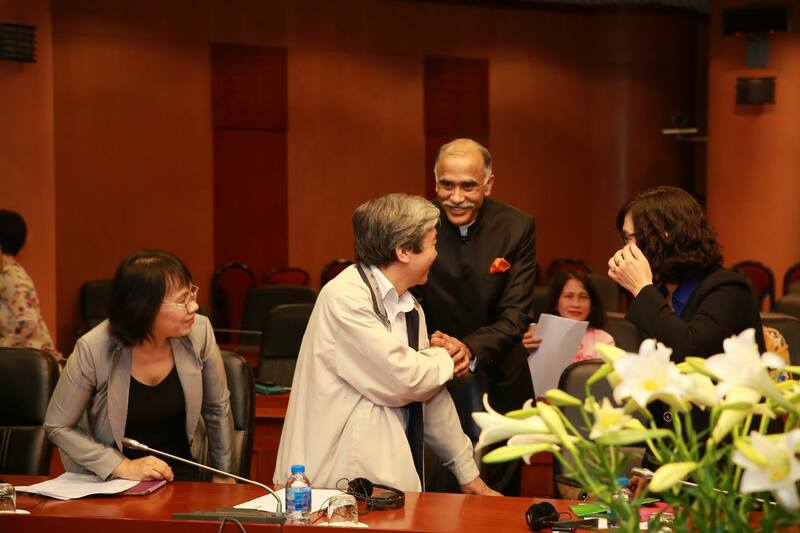 Dean, International Relations, University of Delhi and other distinguished guests and scholars. 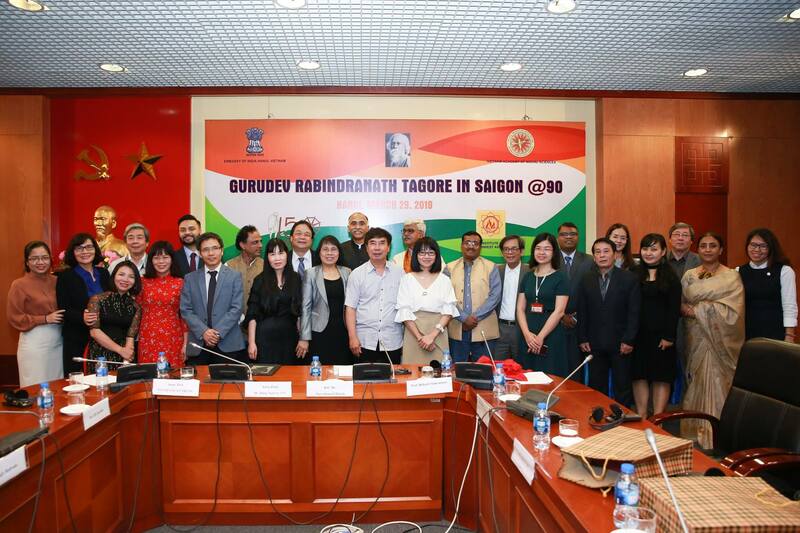 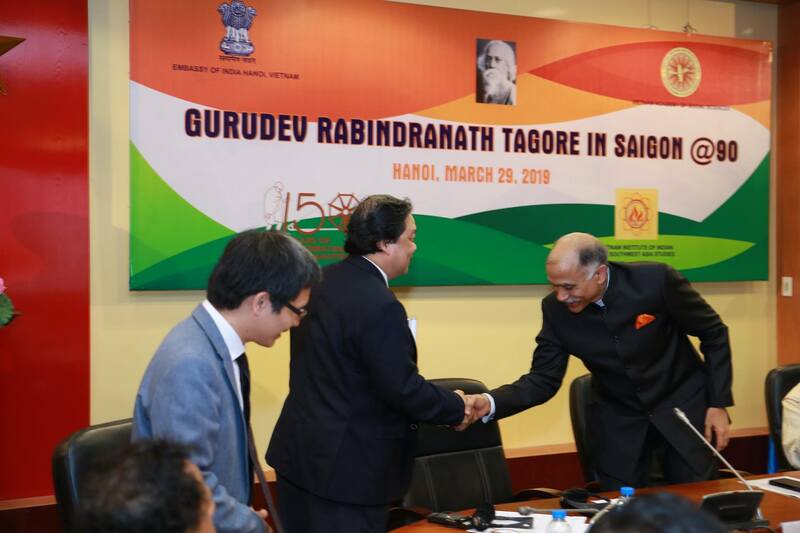 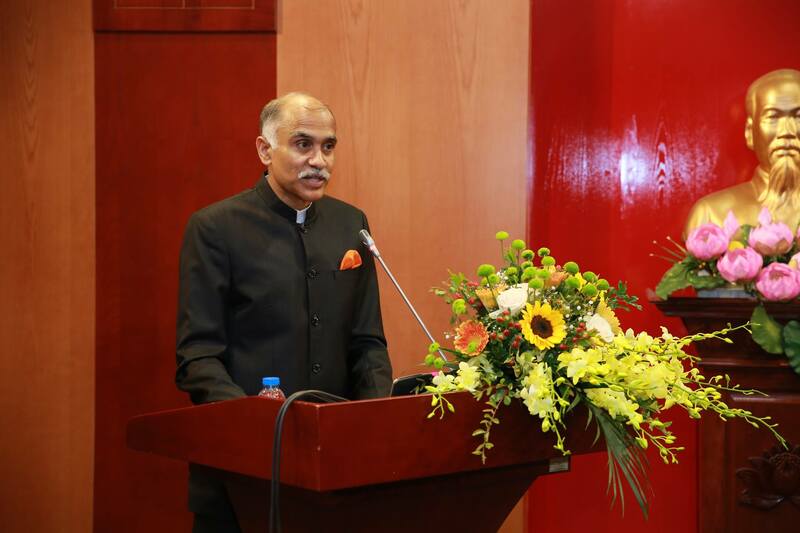 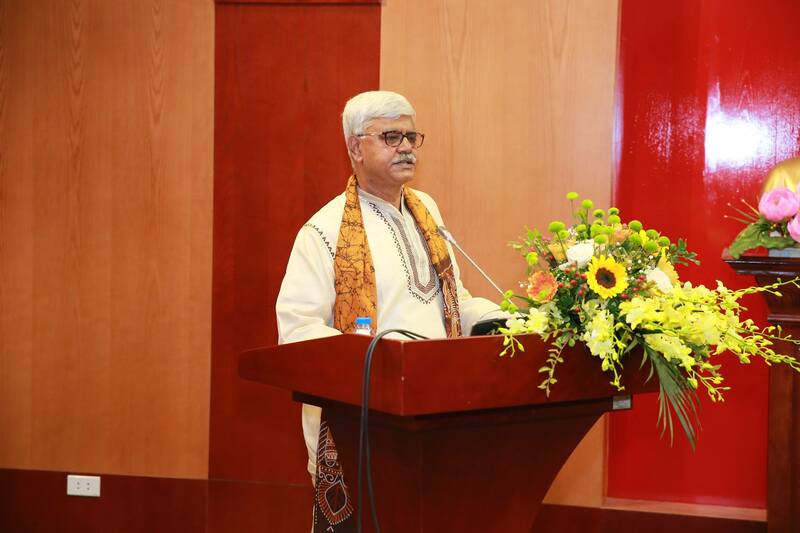 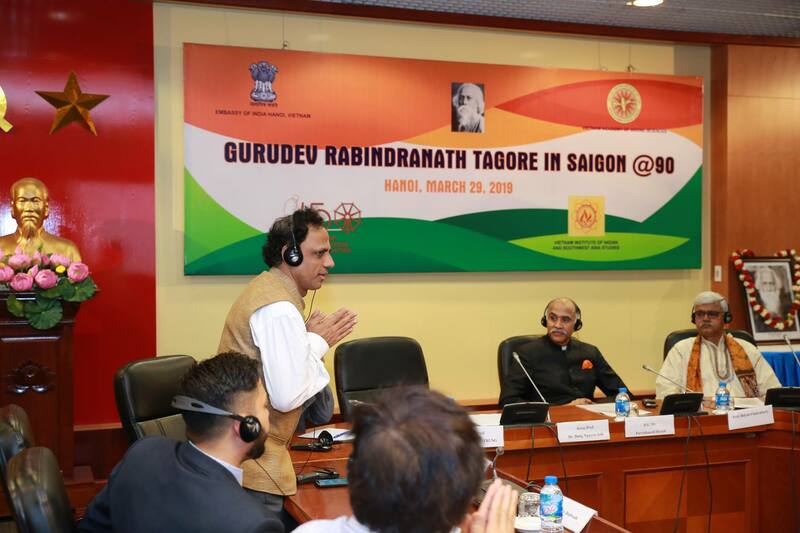 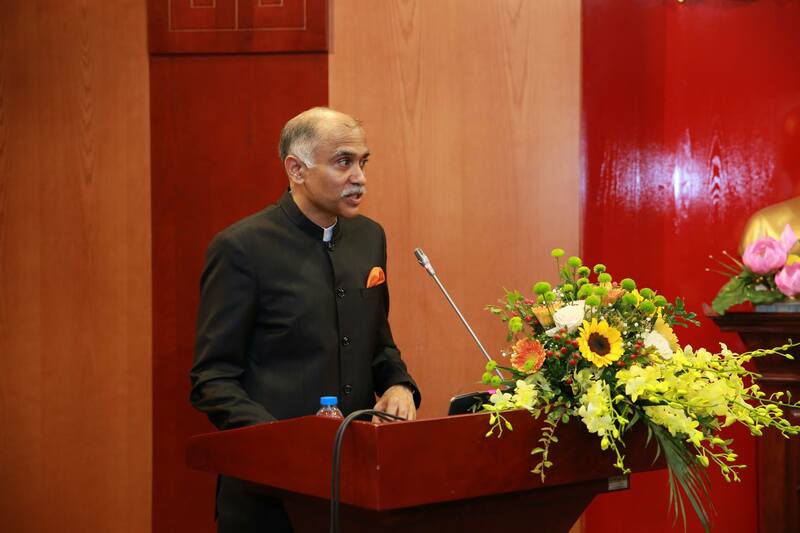 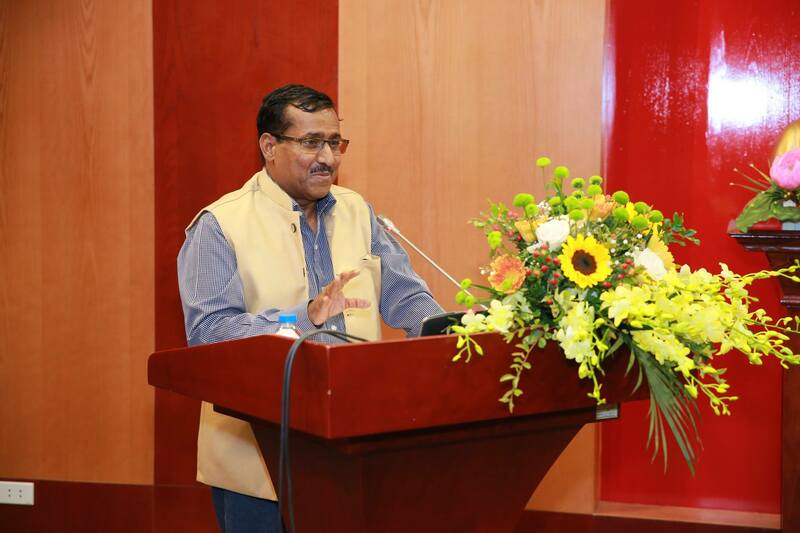 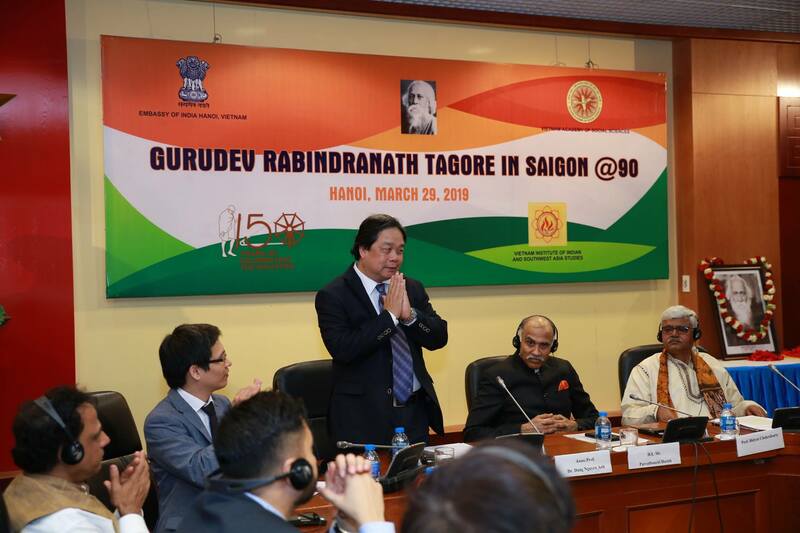 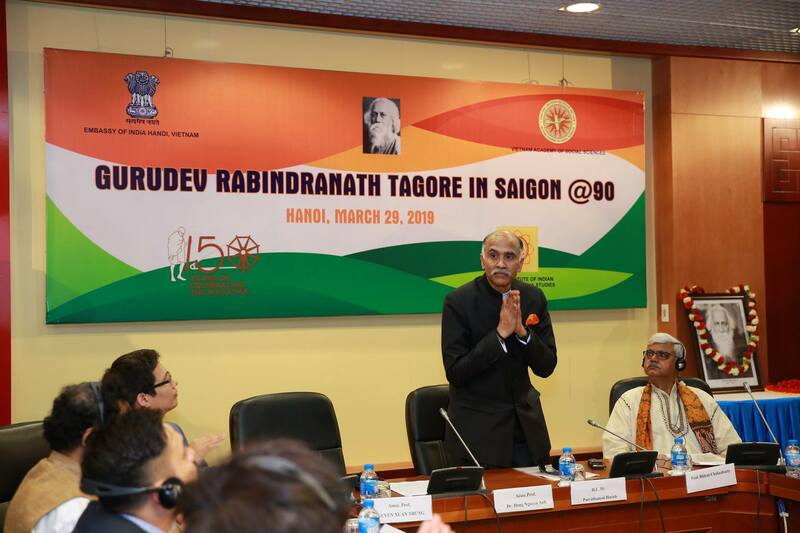 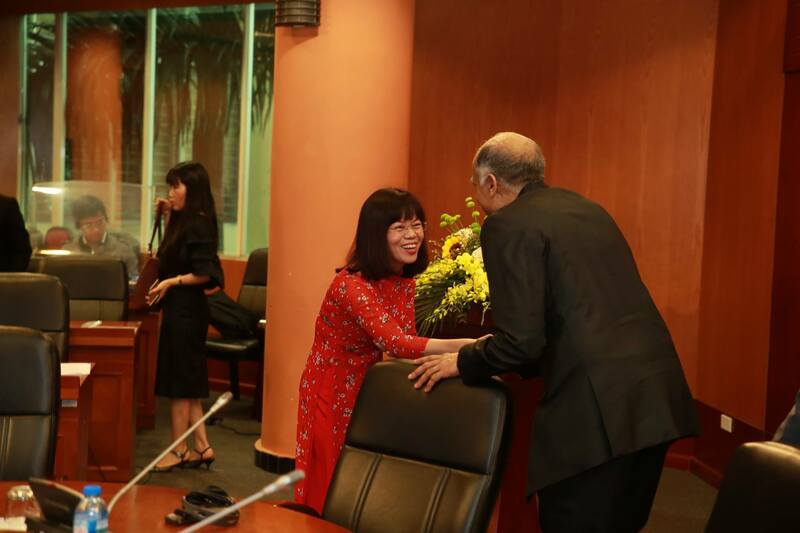 Ambassador P. Harish welcomed the gathering and highlighted the importance of Rabindranath Tagore’s visit to Saigon and its socio-cultural and intellectual impact on Vietnam and on people-to-people relations. 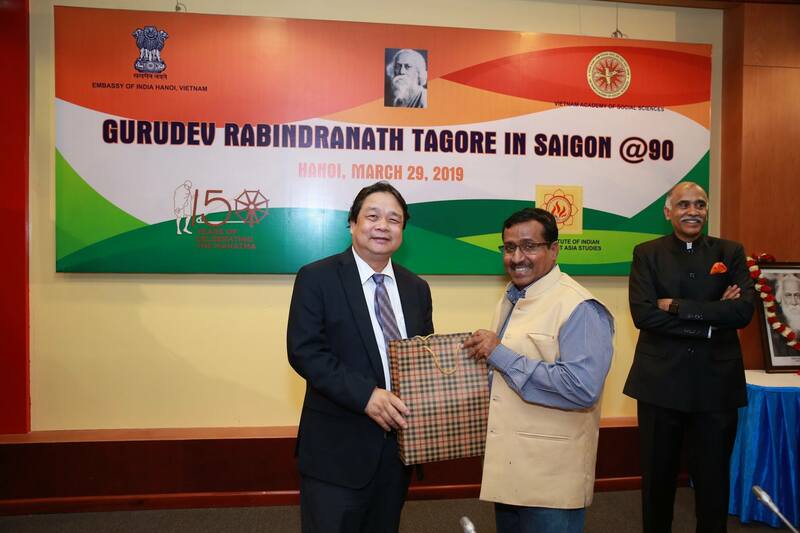 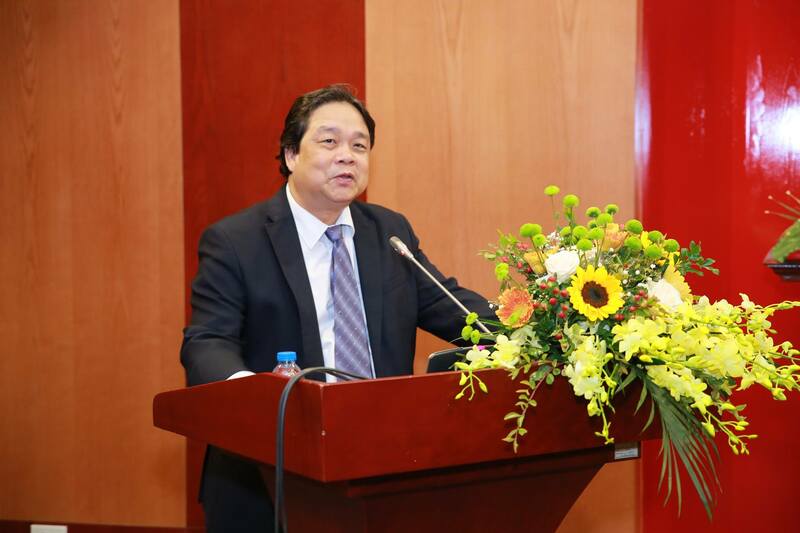 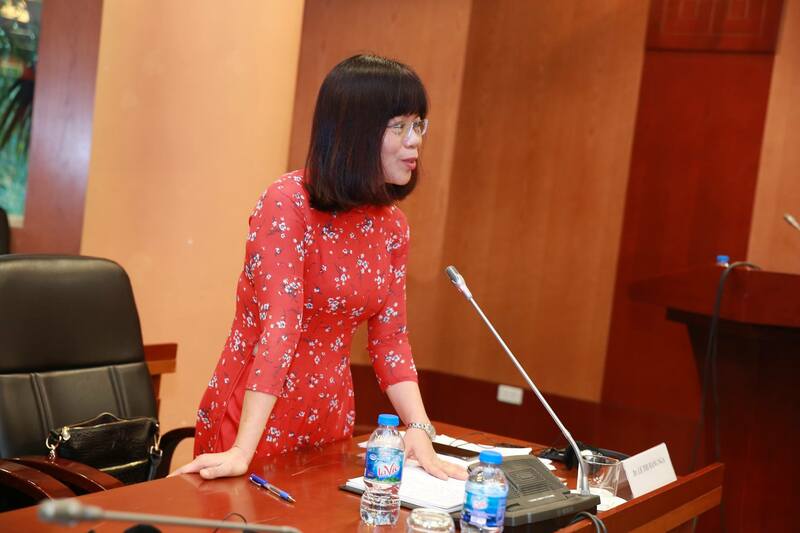 Dr. Dang Nguyen Anh, Vice President of VASS appreciated the organizing of the seminar and highlighted Gurudev Tagore’s contribution to promote friendship and mutual understanding between the two countries in the modern era. 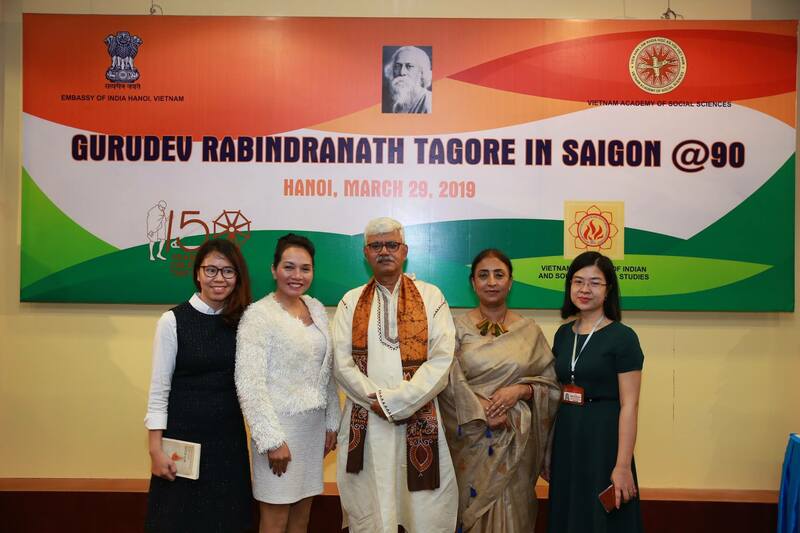 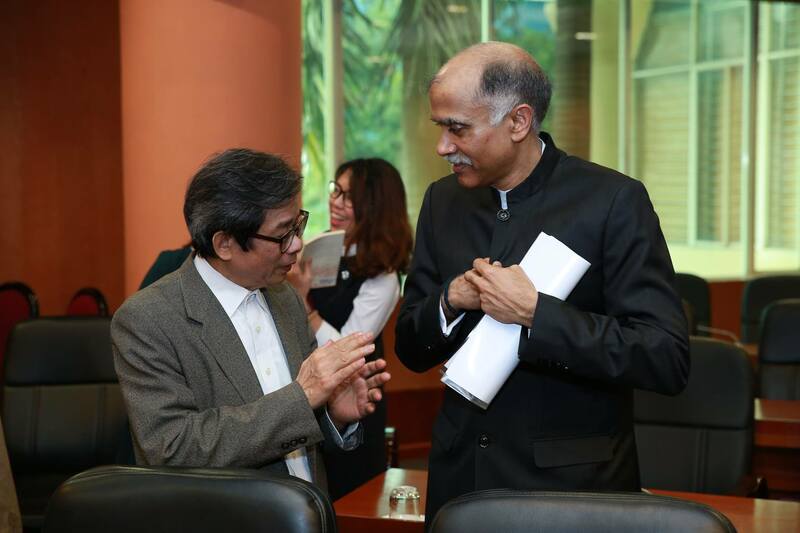 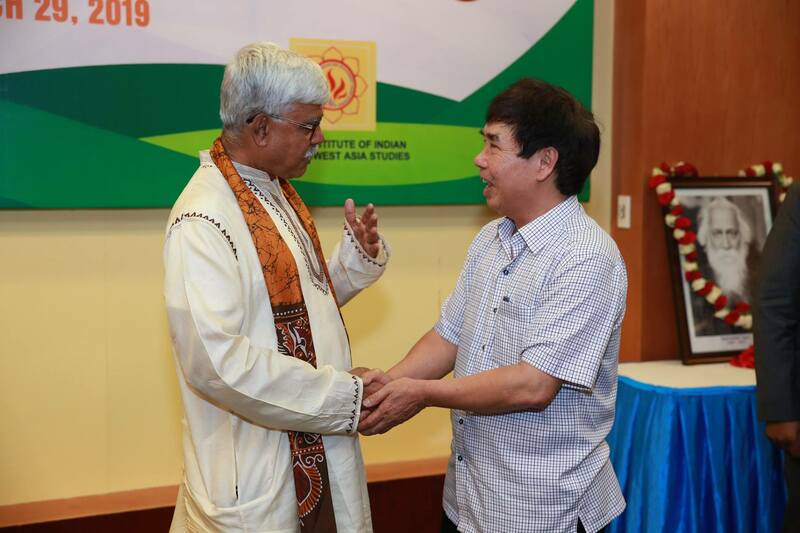 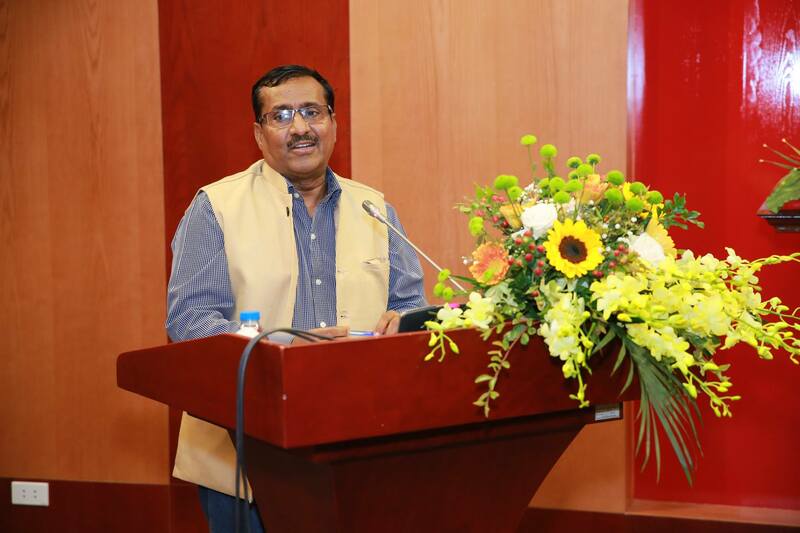 Professor Bidyut Chakrabarty and Dr. Amarjiva Lochan emphasized the importance of Tagore’s visit to Vietnam as well as his philosophy of humanism and universal brotherhood. 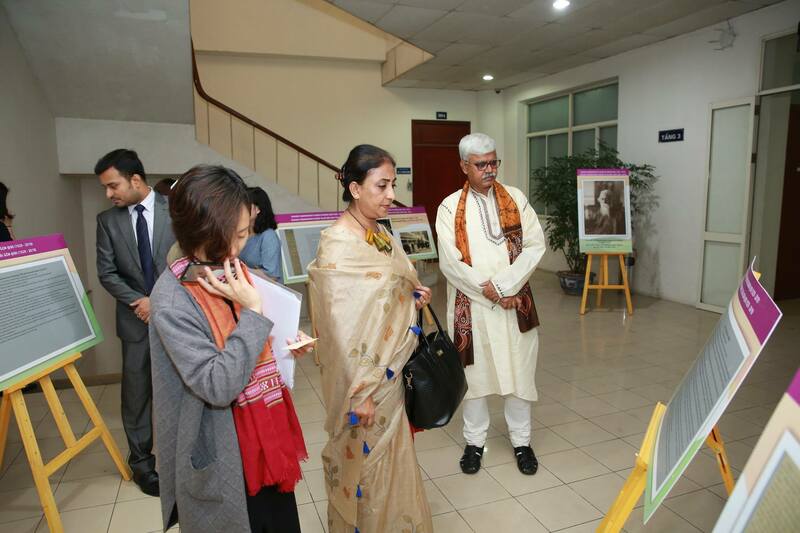 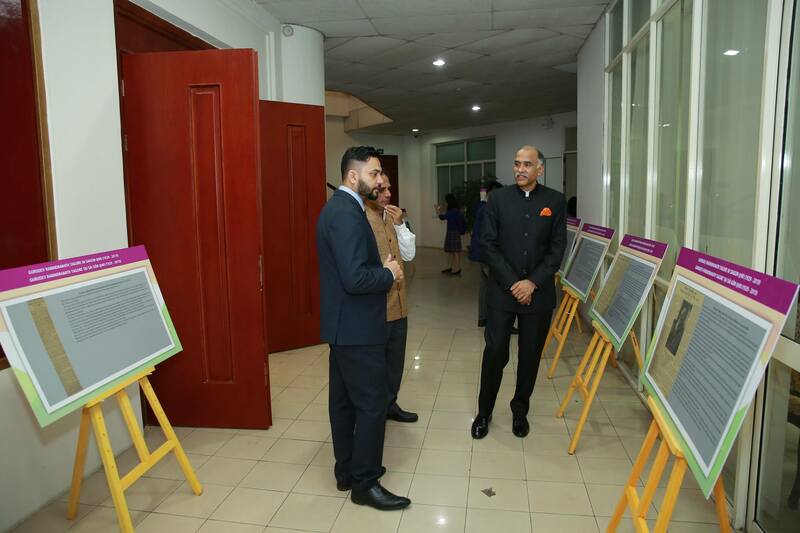 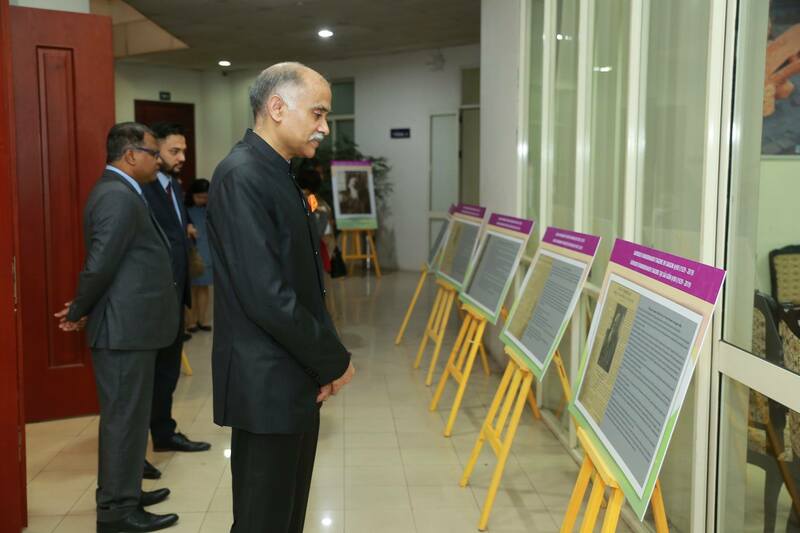 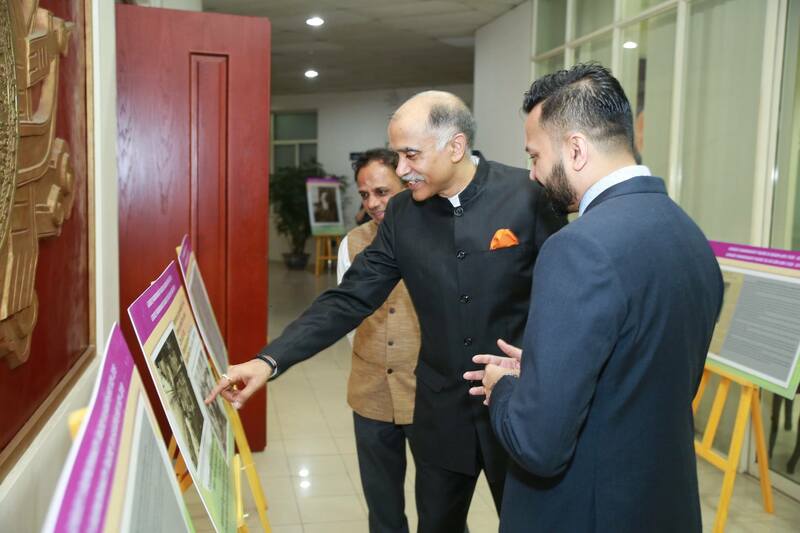 A photo exhibition of comments and clippings in local Saigon newspapers on his visit in 1929 was also showcased followed by a documentary on Gurudev Rabindranath Tagore.